Frontier Touring are thrilled to announce the highly anticipated return of Bruce Springsteen and the E Street Band to Australia and New Zealand. 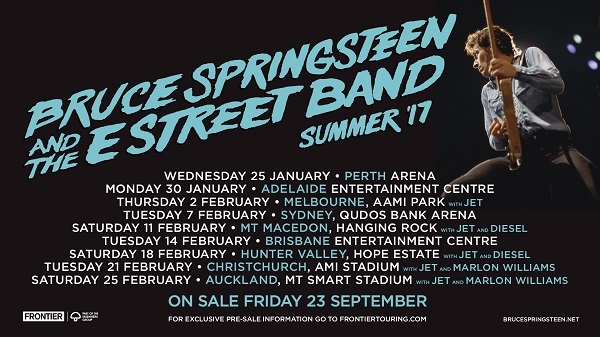 Last on our shores in 2014 for a sold out run of shows, the summer of 2017 will see Bruce and his legendary band undertake one of their biggest tours here to date, visiting Perth, Adelaide, Melbourne, Sydney, Hanging Rock, Hunter Valley, Brisbane, Auckland and – for the very first time – Christchurch. Sure to be a special and emotive concert for everyone in attendance, Bruce and the E Street Band will perform at Christchurch’s AMI Stadium on the eve of the 2011 Christchurch earthquake anniversary. In the wake of the devastating earthquake Bruce’s song ‘My City Of Ruins‘ became a poignant and inspirational unofficial anthem for the city. For one month Bruce Springsteen and the E Street Band will be calling Australia and New Zealand home, with nine shows sure to delight fans who have rabidly been monitoring the international movements of The River Tour. Indeed, those overseas dates have had critics and fans alike in raptures. 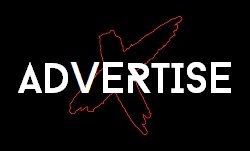 Named the top global touring act of 2016 by both Billboard and Pollstar, Bruce Springsteen and the E Street Band have sold close to 2 million tickets in 2016 alone. 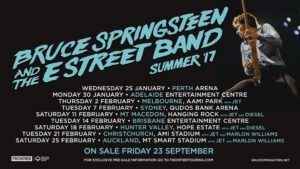 In further exciting news – and perhaps evidence that no one can say no to Bruce – one of Australia’s most successful rock bands of all time, Jet, will be reforming to hit the road with Bruce Springsteen and the E Street Band, appearing as very special guests at their outdoor concerts in Melbourne, Hanging Rock, Hunter Valley, Christchurch and Auckland. Jet quickly conquered the world after forming in 2001, selling more than 6.5 million albums globally and securing 10 x Platinum certification in Australia and Platinum in the USA and UK for their debut album Get Born. They produced a string of classic singles in ‘Are You Gonna Be My Girl‘, ‘Rollover DJ‘, ‘Look What You’ve Done‘, ‘Put Your Money Where Your Mouth Is‘, ‘Rip It Up‘, and ‘Seventeen‘ before disbanding in 2012. 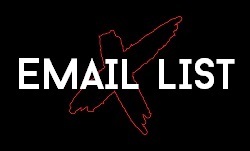 The band have turned down numerous requests to reform in the ensuing years… until now! 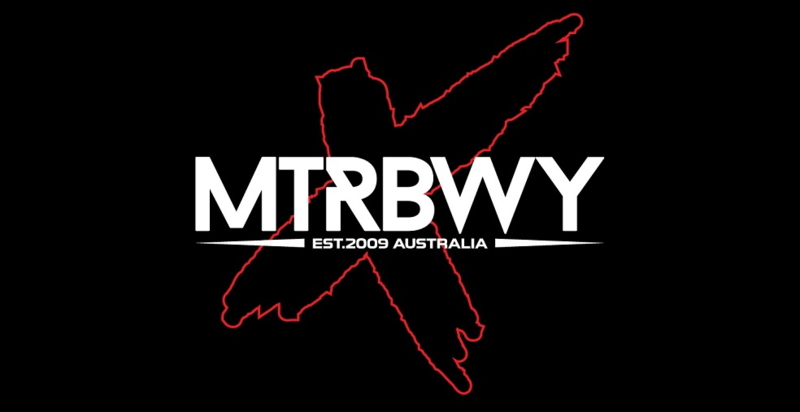 Guitar legend Diesel will appear as special guest in Hanging Rock and Hunter Valley. In July Diesel released his 15th career album Americana, a celebration of some of America’s most legendary music. Fittingly the album includes his interpretation of the classic ‘Born To Run‘. Appearing in Christchurch and Auckland alongside Bruce Springsteen and the E Street Band and Jet, will be local Kiwi favourite Marlon Williams & the Yarra Benders. Since releasing his self-titled album at the start of last year, Marlon has toured extensively throughout North America and UK/Europe including spots on some of the world’s leading music festivals. In Perth, Adelaide, Sydney and Brisbane Bruce Springsteen and the E Street Band will perform the concerts in their entirety, with no special guests. If the Summer ’17 Tour seems too far away, Springsteen fans can treat themselves to some quality time with Bruce with the release of his autobiography Born To Run (out September 27 through Simon & Schuster) and its audio companion Chapter And Verse (out September 23 through Sony Australia). Bruce first began working on the autobiography in 2009, after performing at the Super Bowl’s halftime show. The 500-page autobiography promises a glimpse behind the scenes at the extraordinary life of Bruce Springsteen. Chapter And Verse features 18 tracks from across Bruce’s career, including 5 previously unreleased songs.